I got an early Mother's Day treat courtesy of Guylian Belgian Chocolate. My heart melts for chocolates and these luxurious treats definitely made my day. Look, I got plenty! 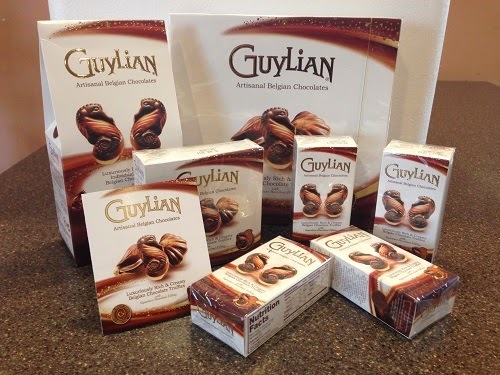 Guylian is the world’s favourite Belgian chocolate and the #1 chocolate manufacturer in Belgium. Guylian “ultra-indulgent” luxurious chocolate seashells are marbled with 100% pure, silky smooth, milk, dark and white Belgian chocolate and are filled with our rich & creamy signature hazelnut filling. The Guylian brand dates back to the late 1950’s when Guy Foubert, a passionate Belgian chocolatier married his love, Liliane, who then joined names creating Chocolaterie Guylian. Today, Guylian crafts the finest authentic Belgian Chocolate Truffles, utilizing the our original signature hazelnut truffle recipe which is still made in small-batch copper kettles exclusively by Guylian’s Master Chocolatiers in Sint-Niklaas, Belgium. I've always loved their seashell and seahorse chocolates. The rich, silky smooth chocolate melts in your mouth and the creamy signature hazelnut filling is simply heavenly. They are not so sweet and you won't get fed up with their Belgian Chocolate Truffles, unlike other chocolates that are too sweet. I'm sure many of you are already familiar with Guylian Artisanal Belgian Chocolate products. As you can see in the photos, the chocolates are elegantly packed. Each piece is made to perfection. And whether you enjoy it as it is, or have them with your favorite drink, you will surely have an ultimate chocolate experience. By the way, the chocs came with a cooler foam brick to prevent them from melting during shipment. Guylian Belgian Chocolate Truffles would make a perfect gift for moms on Mother's Day. And because you are a loyal reader of this blog, I am sharing with you a code so you can purchase them at 10% off. Simply type Chocolate10 before checkout here. For more information about Guylian Belgian Chocolate, please visit their website at www.GuylianBelgianChocolate.com, like them on Facebook and follow on Twitter. Giveaway is open to US only, 18+ and ends on 17 May 2014. We all love chocolates and I'm sure my daughter will be so excited to try these kind of chocolates. I always wondered how Guylian got its name & now I know! It was a love story! Aww, I like that. Makes the chocolate sweeter, lol. I learned that Belgian chocolate uses 100% pure cocoa butter with a melt-point that allows the chocolate to melt perfectly in your mouth. I tried Guylian a year ago and I was hooked. 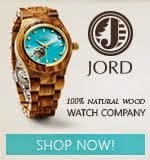 Never knew the story behind the company's name 'til now. My ancestry is Belgian. It'll be the first thing I ever tried that came from there. I haven't tried these, but they sound So good! I love hazelnut cream. Yummy! yey! That's my name over there :) Thanks so much!